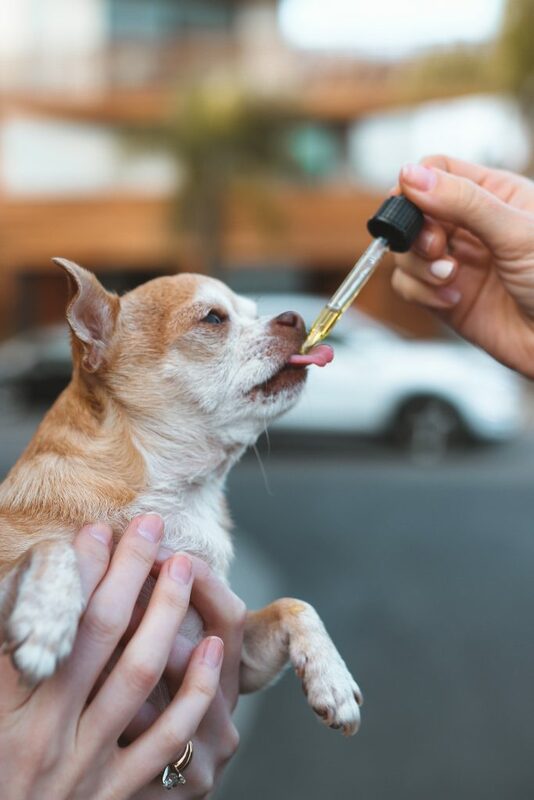 We’re back with a follow up to our last post about CBD oil for dogs! You asked so many questions that we decided to break it down as easily as possible. Here is the second installment of our Q & A with Blooming Culture founder Andreana Droz Pena. Q: Can CBD oil be used for motion sickness- nausea/anxiety included? Yes! It works on bringing the body back to homeostasis and balancing everything out. 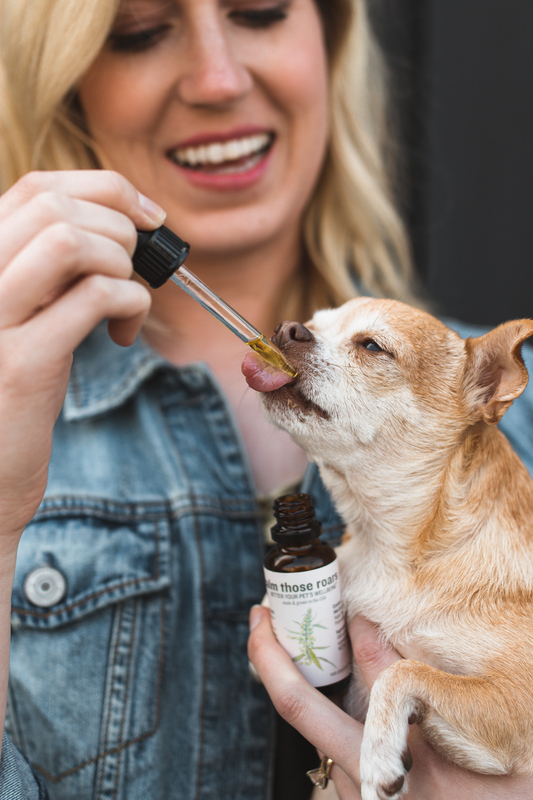 CBD is amazing for pets going through chemotherapy because it curbs nausea, so that is one of its main benefits. CBD works well on calming the nerves for anxiety too. We do recommend since sometimes the benefits can take a few weeks to see depending on the pet, do not wait until right before the car ride to dose the first time. Don’t be afraid! Trust your source and know that CBD is non-toxic. It does not have all the side effects that pharmaceuticals do. 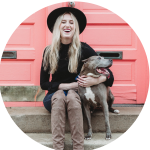 We have had numerous clients say that their pet seems very drugged and out of it on certain anxiety medications. CBD can be just the right balance for relaxing without having withdrawal symptoms. Q: Is there a benefit for using oil vs the treats? 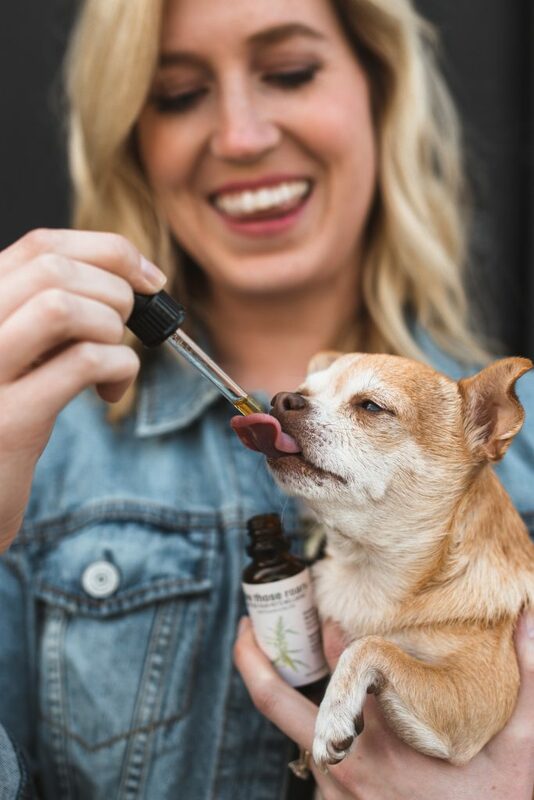 Also, what is the best way to give CBD oil to a dog? Q: CBD oil isn’t cheap. How often do people give it and how long does the bottle last? You are correct, the price points also can greatly vary. Each brand is different depending on their source, quality, and mgs in the bottle. One brand or bottle may be cheaper but may not last as long depending on the dosing. Our bottles should last your dog about one month. Ideally, since CBD oil is cumulative in the body, it is best given 2X a day every day. Q: I just started it for my anxious pup. How many days before you begin to see results? A huge thank you to Andreana for taking the time to answer our questions! If you still have more questions, feel free to reach out to her directly at hello@bloomingculture.com! I’m still on vacation but I’ll be home next week and back to our regular blogging schedule. Until then, make sure to check out CACC’s amazing Game of Bones event that I’m absolutely obsessed with!! Gladys – This little nugget recently found her forever home!! Congrats girl! This jean jacket is from LC Lauren Conrad and it’s perfectly oversized but not overwhelming. You can shop this jean jacket here!